Hunting Easter eggs is not just for kids! Join us at Morgan Soccer Park to search for the “glowing” Easter eggs. Many eggs will contain great prizes donated by local merchants. Participants must be 18 years of age or older. This Annual Kids Fishing Tournament is dedicated to the memory of Fulton Fire Fighter, Alan Leake. Bring your kids out for a great day of fishing, skills competitions, and FUN! Open to children ages 4 to 17. Join us at the City Hall Fountain for the Annual Big Bubble Blowout. Adults and Children will be allowed to play and splash in the giant bubbles! The event is free to the public and there will be hot dogs, popcorn and drinks served. Summer may be over, but it is not too late to fire up the grill one last time. Is your barbecue the best in town? Prove it at this year’s barbecue contest. Judging will begin at 12:30 pm at the Humphrey Shelter. Cooks must check in by 11:30 am. Contestants will be judged in 5 categories: Pork, Poultry, Beef, Specialty and Top Chef. Awards will be given to 1st, 2nd & 3rd place in each category. Join us at the Fulton Street Fair for the 12th Annual Washer Tournament. This year’s event will be a doubles-only tournament starting at 6:00pm. Pre-registration is required. Families, businesses, clubs, churches, & individuals are invited to participate in a city-wide clean-up event. This is a fun, family-friendly event with lunch, drinks and a free Clean Sweep T-Shirt for the first 200 pre-registered participants. This event will have glow-in-the-dark family water activities, concessions and music. Concessions & glowing accessories will be available for purchase throughout the night! 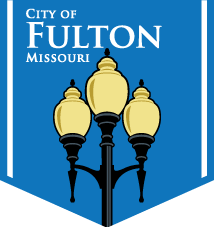 We will have a guest appearance from our water drop mascot and a contest for the community to name the Fulton Water Works mascot. 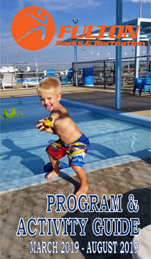 Bring the family out for a water splashing good time! In 2017, the Parks & Rec. constructed a Bocce Ball court at Morgan Soccer Complex. We will be hosting a double elimination bocce ball tournament in August. Pre-registration is required. Put your artistic talents on display and donate a carved pumpkin to the 8th Annual Pumpkins in the Park. This event will take place at the covered bridge on Stinson Creek trail on Tuesday, October 30th. All carved pumpkins that are donated will be lit on Tuesday evening and be on display until Halloween. Pumpkins will be awarded prizes for the categories of Scariest, Most Original, and Biggest Pumpkin. The Summer Cinema Series is back with 3 different movies to be shown in June, July, and August. All movies are rated G or PG. Seating is available at Memorial Park or you can bring a lawn chair or blanket. For information on movie selections, please contact the Parks & Recreation office at 592-3190. Bring your kids out to open the trout season with our 3rd Annual Trout Fishing Tournament and catch some rainbow trout in the freshly stocked Veteran’s Lake. This event is open to youth ages 7-17 years of age. Fulton’s 14th Annual Turkey Trot 5K Run/Walk is open to all ages and will take place on Fulton’s beautiful Stinson Creek Walking Trail. The first 100 entries will receive a free t-shirt. Winners in each age group will receive a free Thanksgiving turkey and award medal.